What is Brinell hardness (HB)? What is Rockwell hardness (HRC)? What is Vickers hardness (VH)? How to convert from HRC and VH to HB? The Brinell hardness will scale the hardness of materials by the penetration depth of an indenter, which means we need to punch a small pit on the surface of the metal castings. The Rockwell hardness determines the hardness by measuring the depth of penetration of an indenter under a large load compared to the penetration made by a preload. The Vickers hardness has the same basic principle as with all common measures of hardness, is to observe the questioned material's ability to resist plastic deformation from a standard source. According to our experience, as for the iron and steel castings, the Brinell hardness is more common in China. Almost all the foundries have HB testers in China. Some foundries have the Rockwell hardness testers, but very seldom metal foundries will use the VH testers. The following is the conversion table for HB, HRC and VH. We hope this comparison table can help you to convert between them. This article is from www.iron-foundry.com Please keep this link! 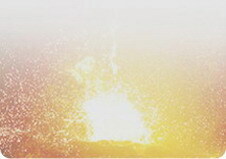 For more articles, please click Dandong Foundry's Blog.